Do you remember the Wheedle on the Needle? Or watching Bill Nye the Science Guy? Did J.P. Patches wish you happy birthday through his cardboard TV? Maybe you hiked in a rain poncho. Or busted a mutton. Or learned to ski in the sleet at Snoqualmie or on the waters of Moses Lake. In spite of the cold, you swam at Nat Park, in the Sound, or Lake Roosevelt, or Lake Chelan? Do the words Orkila, Kiahanee, Seymore, or Na-Bor-Lee conjure up memories of shouted songs around campfires? Then you grew up in Washington. Consider yourself lucky. Wild, storied, and wonderful, our state is a great place to grow up. Our abundance of natural resources, our great cultural offerings, and our remarkable capital of teachers and volunteers make Washington the perfect place to explore and play. Alex is the second to arrive at the Child Development Program classroom on the Pullman campus. The five-year-old doffs his coat, washes his hands, and beelines to the building blocks. Meanwhile, three-year-old Sam, the first arrival, is up to his elbows in a sand table that has been seeded with little plastic dinosaurs. Clementine soon strides through in pink boots, her ponytail swinging as she hunts down a book on shapes. Three other children have moved into a play area beneath a “Doctor’s Office” sign and put stethoscopes around their necks to examine WSU student Ashana Hitchens. Using the fundamentals of child development as defined by Jean Piaget, Maria Montessori, John Dewey, and Lev Vygotsky, the student teachers are exploring their charges’ social interactions. They’re watching the three- to five-year-olds self-direct their learning and discovery. And, most importantly, they’re helping them play. 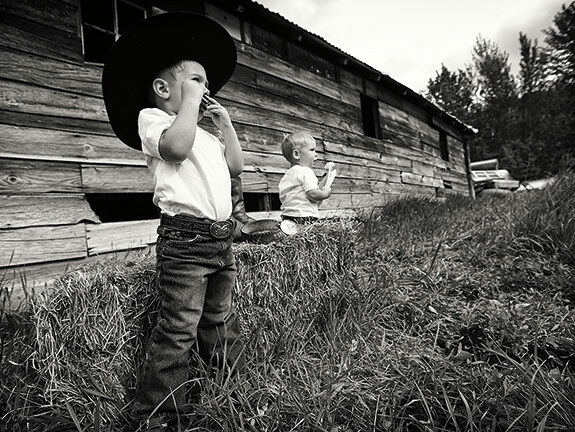 Play starts with the infant and toddler’s early explorations, evolves into pretending, and then becomes games with rules in middle childhood. Children today, particularly in certain environments and certain neighborhoods, may not have the time or ability to play freely, says Boyd. Joining teams or having structured play dates doesn’t fill the bill, either. They need time outside. The WSU child development program is a window into what has become a statewide governmental emphasis on early childhood, that time from infancy until school. 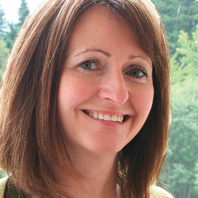 “Our state recognizes that early childhood is a critical period in terms of brain development and it cannot later be replicated,” says Jane Lanigan, an associate professor at WSU Vancouver. Besides needing good health care and optimal nutrition, children at this stage need a variety of learning experiences and physical activity. “Washington even has its own Department of Early Learning,” she says. The state agency looks to prepare parents and child care providers as those first teachers. The director serves on the governor’s executive cabinet. What’s more, Washington was one of the first states to win a federal Race to the Top Early Learning Challenge grant, $60 million over four years from the U.S. Department of Education and Health and Human Services to improve early learning settings. The practices of interactive play and the efforts to develop the mind and motor skills that take place in the classroom in Pullman are being used throughout the state in child care and Head Start through a program called Early Achievers. Using the federal grant, Washington is taking its research-based program for rating and improving early learning settings statewide. “It’s a big deal that we got that money,” says Boyd, explaining that it will go far in improving the quality of life for our youngest citizens. Recently, Lanigan’s research on healthy activity and eating in child care settings was used in expanding First Lady Michelle Obama’s Let’s Move campaign beyond its initial focus of school-aged children to include preschoolers and younger. We’re only now recognizing that “habits are formed in early childhood around being active or being sedentary,” says Lanigan. “And eating tends to carry through until middle childhood.” The challenge is that the age group, which isn’t yet in school, is much more difficult to reach, she says. That is why efforts like our state’s early learning emphasis are so important. Beyond offering our youngest citizens a good start, Washington is striving to cover the full span of childhood. Scott VanderWey, WSU’s director of Adventure Education for 4-H oversees programs to get grade school- to high school-aged Washingtonians outside. Washington has three national parks and 117 state parks. People here grow up riding bicycles, climbing trees and mountains, canoeing, rafting, skiing, swimming, and sailing. Recognizing this, cities and counties throughout the state have, through their parks, programming, and funding, made great efforts to get Washington’s children outside to explore, says VanderWey. In 19 of the state’s 39 counties the 4-H programs include ropes courses in city parks, sailing in the San Juans, back country hiking in the North Cascades, and snowshoeing in Ferry County. 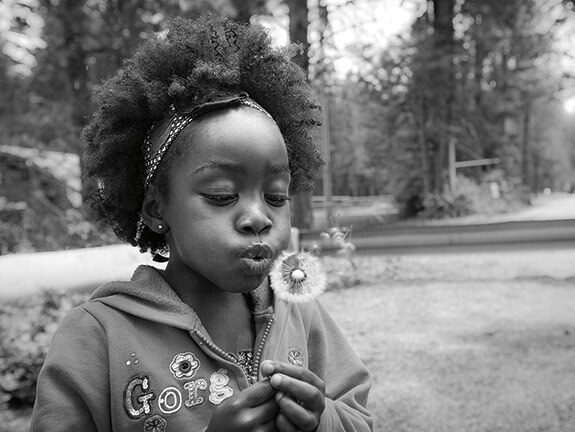 At Camp Long, a 68-acre Seattle park with forests and cabins, kids can not only get into the woods, but up in the trees. 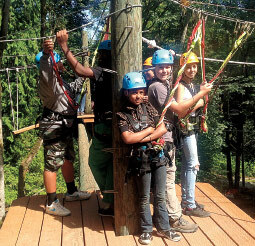 Comprised of high platforms and nests of ropes, the camp’s high and low ropes courses were built by WSU Extension, King County, and the Seattle Department of Neighborhoods. Last year, the courses served 2,500 children ages nine to 19. This year, it hopes to bring in 4,000. Down in Skamania County, a 4-H Forest Youth Success program brings teens into the forests to teach them the fundamentals of forest ecology, give them work experience, and have them build trails, tend the forest, and release turtles and trout. 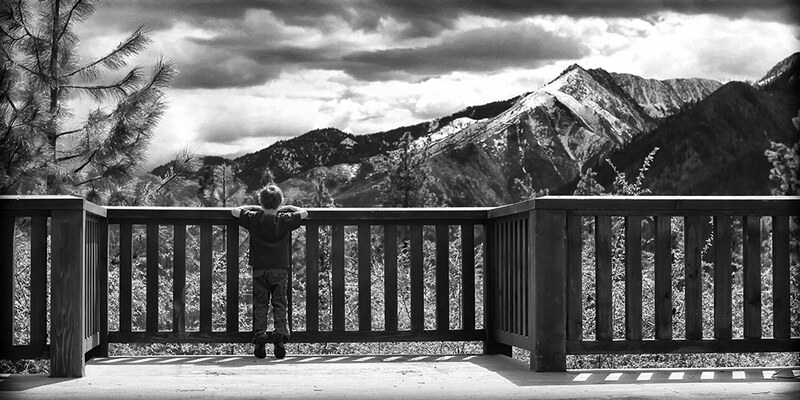 Richard Louv’s book Last Child in the Woods discusses how contemporary American culture does not foster children being outdoors. The book points out that the decreased time outside coincides with health issues for children as well as a rise in depression. “Studies prove it out,” says VanderWey. 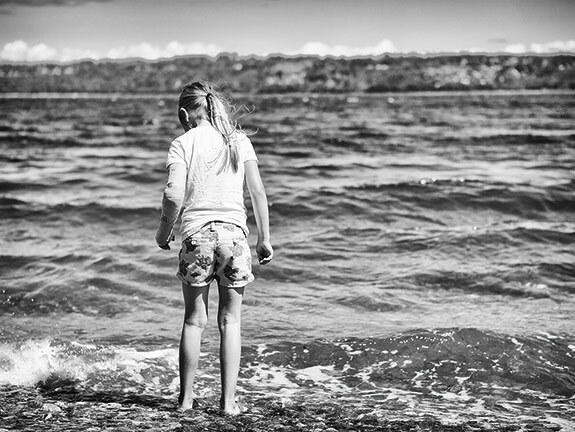 “It’s pretty clear that spending time in nature decompresses children.” It also develops life skills, can make students more ready to learn, and lends itself to natural resource education, he says. She found that people with strong childhood experiences with nature were more sensitive to having nature around them as adults. Washington’s communities are filled with museums, science outposts, festivals, zoos, and theater programs, all created with kids in mind. Seattle’s scrappy city- and volunteer-supported, child-focused Poncho Theater of the 1970s and 80s has evolved into a stunning Seattle’s Children’s Theater, one of the top five children’s theaters in the country. It’s just next door to the Pacific Science Center which for the past half-century has lured thousands each month to its wide array of hands-on science exhibits. Tacoma’s Point Defiance Zoo and Aquarium has spent 100 years at its current location and draws 700,000 visitors per year. And Vancouver’s five-acre Esther Short Park, the oldest public square in the Northwest, is packed most summer weekends for outdoor concerts, a farmers market, and the picturesque wading fountain. 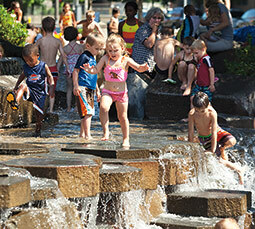 Last year the American Planning Association named it one of the nation’s 10 great public spaces. Across the state, Spokane has the 100-acre Riverfront Park, its own children’s theater, and the Mobius hands-on science museum. 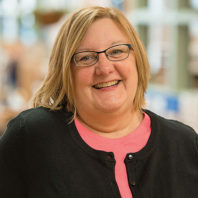 “But we are nothing if we are not a city of events,” says Anne Windishar Walter ’87, a counselor at Franklin Elementary and trustee of the city’s library board. These events draw visitors from around the region, fill the streets of downtown, and are all about being healthy and being outdoors. Bloomsday, the world-famous spring-time running race through the city, has a “Marmot March” fun run for second graders and younger, and recently introduced a one-mile junior version of the race for third and fourth graders. There’s also an annual Fit for Bloomsday program where 6,000 area elementary students can, with the help of their coaches, teachers, and parents, train to walk or run in the race. Spokane’s Lilac Festival, not unlike Seattle’s Seafair and Tacoma’s Daffodil Festival, highlights both the community and the natural resources and, again, draws thousands of people into the city. Seven years ago, the city added bicycle-focused Spokefest, a family bicycling festival featuring rides from nine to 47 miles, with a much smaller one- to two-mile loop for the youngest bikers. During each of these events, Spokane surrenders its streets to the families who come to participate, says Walter. But what may be most impressive is what has become the world’s largest three-on-three basketball tournament. “Hoopfest is amazing just for the breadth of people that it brings out,” says Walter. 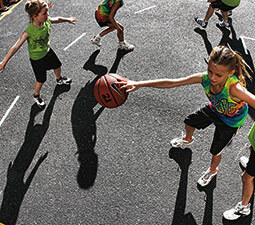 Now in its 25th year, the annual three-on-three tournament at the end of June draws over 7,000 teams of all ages and a quarter of a million people to the streets of downtown Spokane. 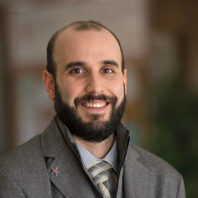 Whether it’s in the woods, on the beach, or in the middle of downtown, place can play such an important role in development, says John Lupinacci, an assistant professor in the College of Education who researches place-based education. Time outdoors helps children become more attuned to the ecology around them and ultimately can help them care more for their environment. And by exploring their cities, museums, and cultural events, children are deepening their ties to the places around them, he says. As we visit in his Pullman office, Lupinacci mulls how Washington might be different from other states and then lights up. “I know a great example,” he says. “Washington has so many farmers markets. 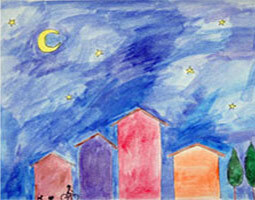 These are great places for children for a multitude of reasons. Even in Washington’s most urban areas, you can still see rivers, lakes, mountains, and trees. “That has to have some effect,” he says. Lupinacci works with students training to be teachers. He also focusses on reforming education to make it situational, local, and in support of living systems. He’s finding that the two parts of his work are overlapping in interesting ways. “It used to be that you grew up, you went to school, and then you moved away to find success,” he says. But now many of his students are intent on not just staying in Washington, but on returning to and serving the communities where they grew up. A storybook story – Education students who write, illustrate, and produce their own books can vie for a $1,000 Kromann award.